(Host) Lyndon State College will soon have a new president. Joseph Bertolino will take over at Lyndon State on July 1st. The 48-year-old Bertolino comes to Lyndon State after eight years at Queens College, which is part of the City University of New York. Bertolino says he’s impressed by the close relationships between students and faculty at Lyndon State. (Bertolino) "Some of the students had said to me what they loved most about Lyndon was that they just weren’t a number but they were a name, and that really resonated with me." (Host) Bertolino calls Lyndon "Vermont’s best-kept secret," and he says he wants to expand the college’s reputation beyond the local community. (Bertolino) "Building new and better relationships with a variety of constituencies in Vermont and the opportunity for Lyndon to garner a national reputation, I think, are wonderful challenges and opportunities all at the same time." (Host) Bertolino will take the helm from Steve Gold, who served as Lyndon’s interim president since Carol Moore’s retirement in June. Everyone knows first impressions are important when it comes to a job interview. But buying the clothes necessary to make the right impression can be a big expense for some college students. 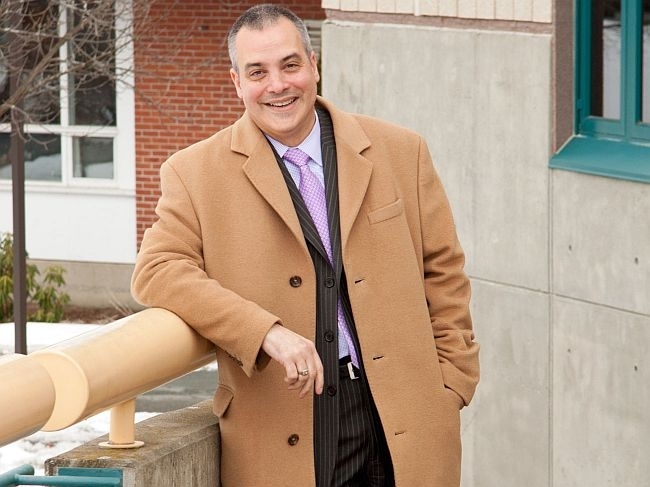 The Vermont State Colleges Board has announced that Joseph Bertolino will be the 15th president of Lyndon State College.